Buffalo is on the upswing, and Buffalo’s people need to help Buffalo’s businesses continue that trend. The “progressive and wide awake Buffalo businesses” who sponsored the list came from every section of the city and were representative of every manner of business, big and small, all looking to see the city through growth to a population of 650,000 people. The city’s population, by the way, peaked when Buffalo was America’s 15th largest city in 1950 with 580,000 residents. 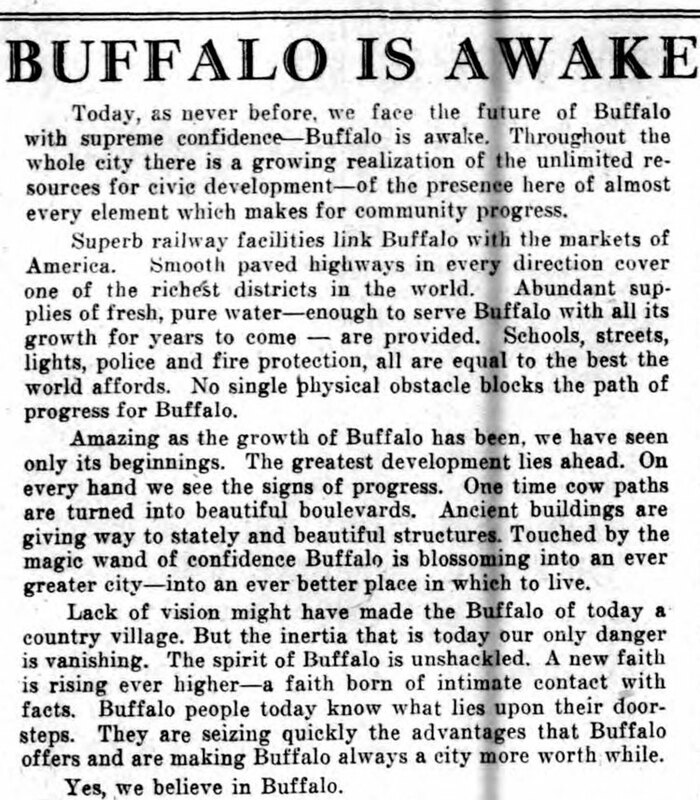 Today, as never before, we face the future of Buffalo with supreme confidence—Buffalo is awake. Throughout the whole city there is a growing realization of the unlimited resources for civic development—of the presence here of almost every element which makes for community progress. Superb railway facilities link Buffalo with the markets of America. Smooth paved highways in every direction cover one of the richest districts in the world. Abundant supplies of fresh, pure water—enough to serve Buffalo with all its growth for years to come — are provided. Schools, streets, lights, police and fire protection, all are equal to the best the world affords. 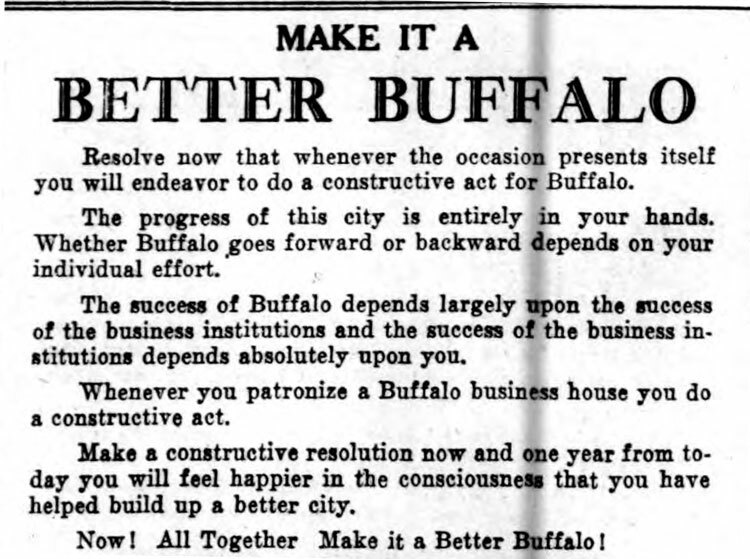 No single physical obstacle blocks the path of progress for Buffalo. 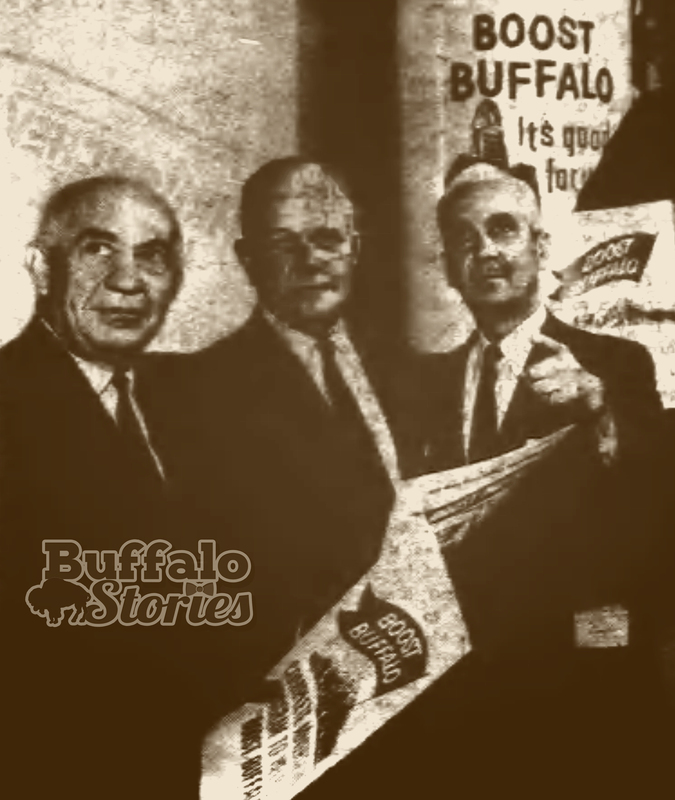 Amazing as the growth of Buffalo has been, we have seen only its beginnings. The greatest development lies ahead. On every hand we see the signs of progress. One time cow paths are turned into beautiful boulevards. Ancient buildings are giving way to stately and beautiful structures. Touched by the magic wand of confidence Buffalo is blossoming into an ever greater city—into an ever better place in which to live. Lack of vision might have made the Buffalo of today a country village. But the inertia that is today our only danger is vanishing. 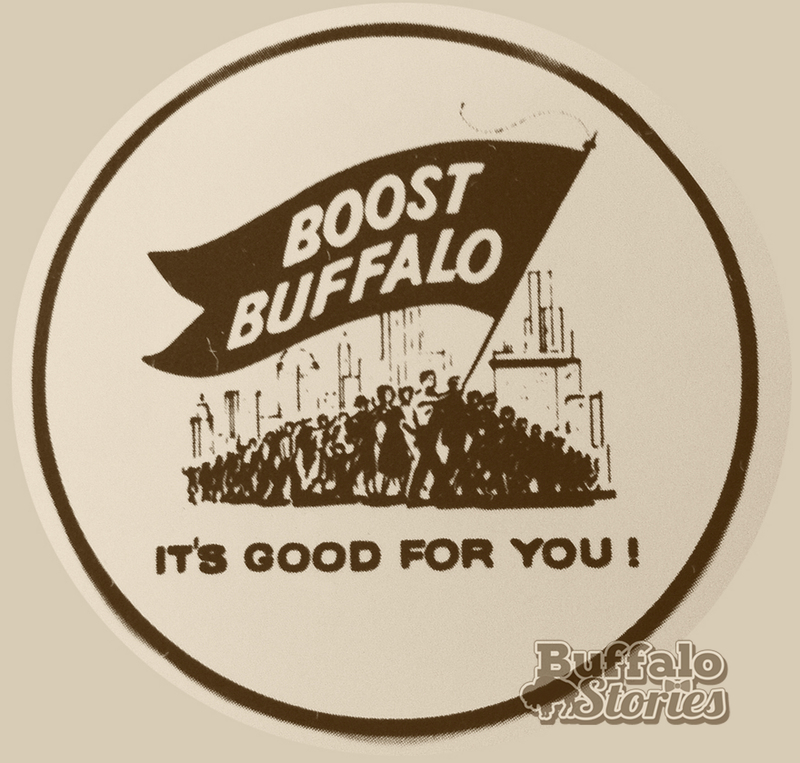 The spirit of Buffalo is unshackled. 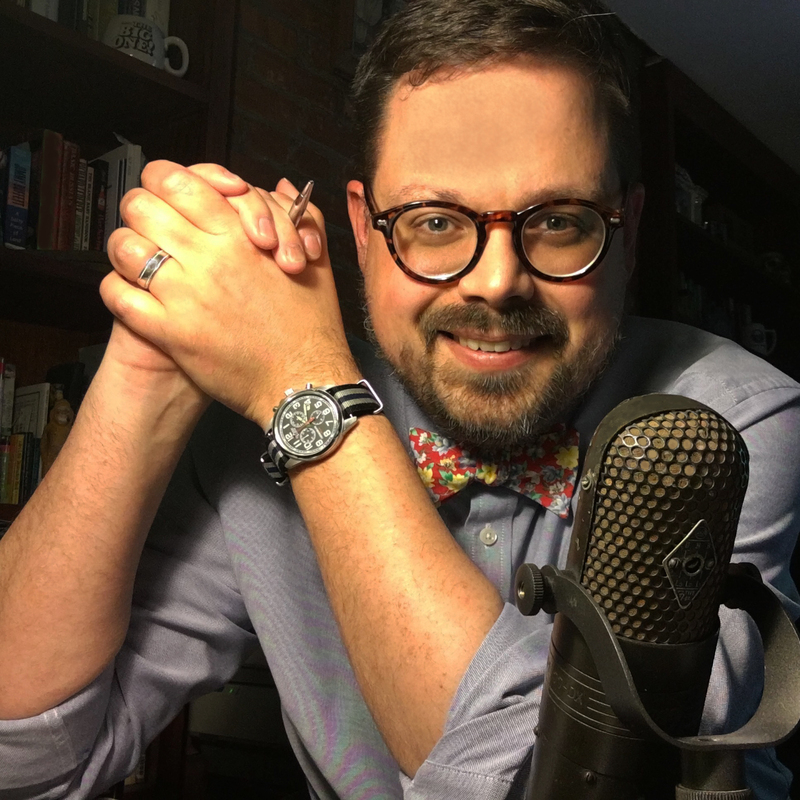 A new faith is rising ever higher—a faith born of intimate contact with facts. Buffalo people today know what lies upon their doorsteps. 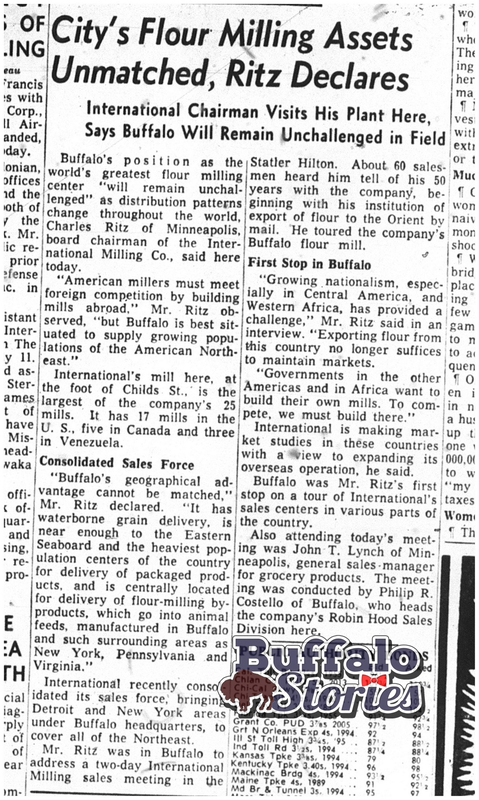 They are seizing quickly the advantages that Buffalo offers and are making Buffalo always a city more worthwhile. Yes, we believe in Buffalo. Resolve now that whenever the occasion presents itself you will endeavor to do a constructive act for Buffalo. The progress of this city is entirely in your hands. Whether Buffalo goes forward or backward depends on your individual effort. 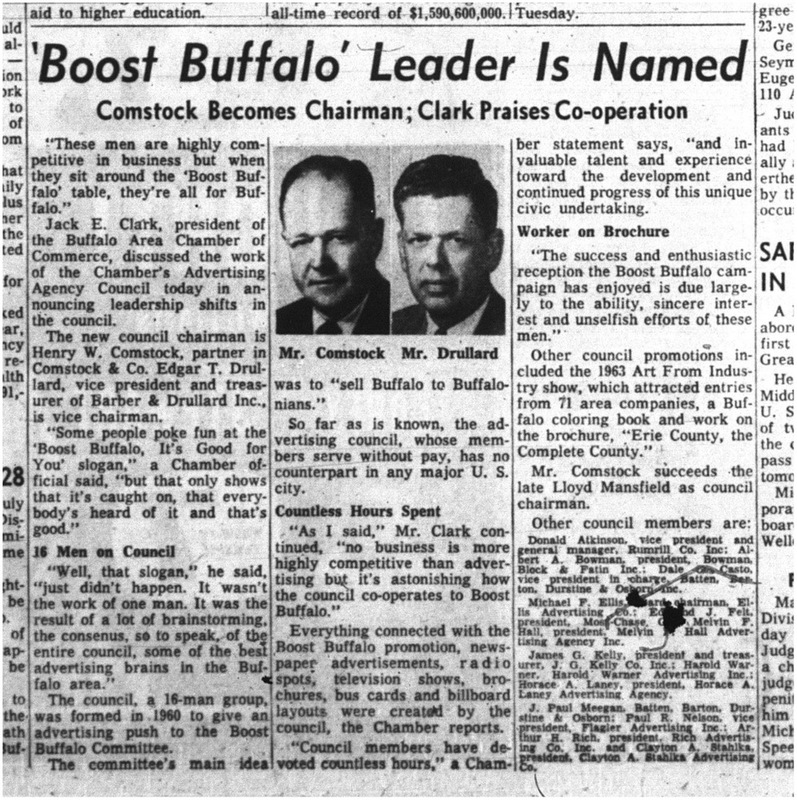 The success of Buffalo depends largely upon the success of the business institutions and the success of the business institutions depends absolutely upon you. Whenever you patronize a Buffalo business house you do a constructive act. Make a constructive resolution now and one year from today you will feel happier in the consciousness that you have helped build up a better city. Now! All Together Make it a Better Buffalo! Buffalo is in the center of a territory rich and inexhaustible in basic raw materials, which can be laid down at the city door by lake, canal or rail without transshipment in a shorter time and at a lower rate than other cities. Out of 356 different lines of manufacture in the United States census, Buffalo has 213 or 60%. This is a more diversified line than any other American city, and a striking guarantee of stable business conditions and sound industrial development. Buffalo is the second largest railroad center in the world, surpassed only by Chicago. The city is served by 11 main lines. There are 14 freight stations and upwards of 700 miles of railroad tracks. More than 300 passenger trains arrive and depart from Buffalo daily. 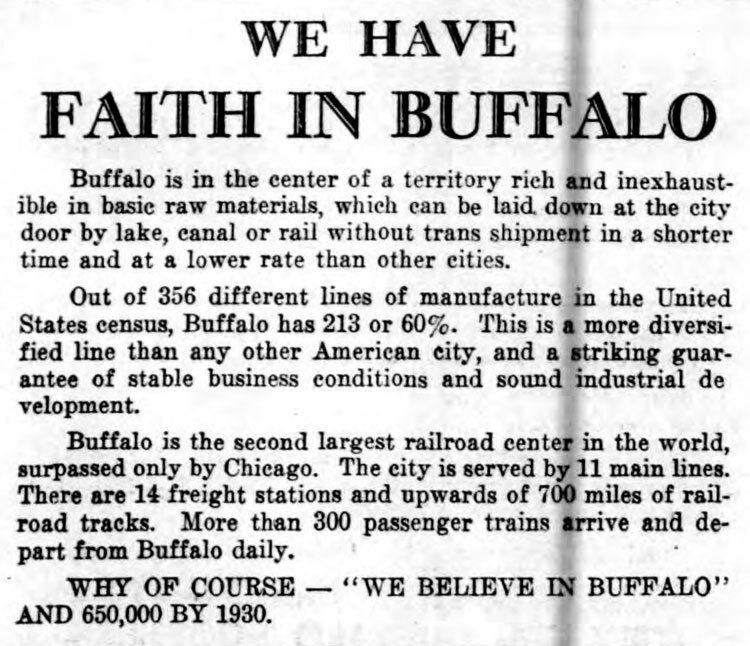 Why of course “We Believe in Buffalo” and 650,000 by 1930.